A meeting of young people has been organized and an unprecedented show in Cadiz has been planned in the tavern “La Cava”. Recorded in live in La Cava on the 21st of December and on the 1st of june 2010. 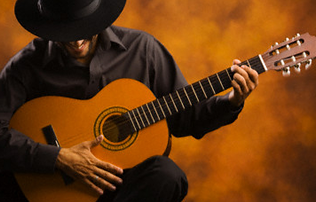 It is a lively and joyful voice that pleases when it mixes with the sounds of Tomatito's piercing guitar. Camarón's amazing live performance allows to hear previously in-studio recorded songs in a more natural atmosphere. His voice can only be heard as sharp and as direct in a live performance. Tomatito's guitar is sharp and full of life. Recorded live at the Albeniz Theatre of Madrid, during the show with the same name. Directed by Manuel Morao. Cante: Antonio Nuñez “Chocolate”, Maria Vargas, Fernando Terremoto (hijo), Ines Bacan. Guitarists: Juan Morao and Diego Amaya. Recorded live at the Villamarta Theatre during the Jerez Festival, during the show, with the same name, of the dance company 'Manuel Morao Gitanos de Jerez', on April 25th, 1998. DIRECTED by Manuel Morao. CANTE: Ines Bacan, Manuel Moneo, hijo (barullo). GUITARISTS: Diego Amaya and Antonio Moya.